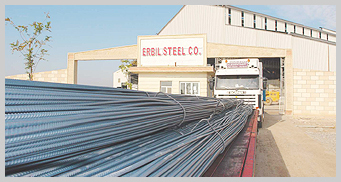 The rolling mill of Erbil Steel Company has been built over a closed area of 8,000 m2 with a rolling speed of 7 m/sec and monthly capacity of 20,000 tons, our rolling mill is operated by 104 experienced engineers, technicians and other workers to produce world class N12-N32 mm construction steel. A 30 ton/hr capacity reheating furnace in our rolling mill tempers the internally produced billets and sends them to the flow for the production. This unit consists of 3 group preparation benches, 42 meter long natural cooling grill and a cold cutter with a capacity of 100 tons.Rolling mill line is fully automatic right after from the billet charging up to packing area. Last edited by alan131210 on Wed Jul 04, 2012 3:13 pm, edited 22 times in total. Awamedica is the first pharmaceutical company in the history of Kurdistan. there purpose is to help people live a longer, healthier and happier life. Awamedica works to provide high quality products to maintain good quality of life and health. Last edited by alan131210 on Sat Apr 14, 2012 5:08 pm, edited 6 times in total. * Management of the operation of the power station to achieve the highest possible availability. * Management of the procurement of any kind of consumables, spare parts, tools, equipment to secure efficient and professional operation and maintenance of the power station. * Management the preventive maintenance according to the respective maintenance instructions and manuals. Last edited by alan131210 on Mon Mar 19, 2012 4:04 am, edited 2 times in total. 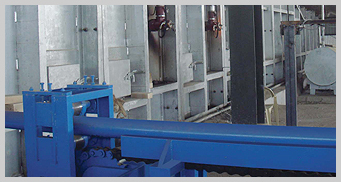 is a leading factory in the region for the production of all kinds of bricks. It is the leading brick factory in technology and capacity in Iraq, with a capital of Twelve Million Dollars. A Malaysian- Company has undertaken the establishment of the factory. Aso Brick Factory is one of the major projects of Halabja Group. It is located on an area of 135,000 m/sq in Takiya Sub-District, 35 km south east of Suleimaniyah, Iraq. The high demand for construction materials in Iraqi Kurdistan and the existence of raw materials in the area made Halabja Group get the idea of serving its people by investing in this kind of factory to help rebuilding the country. Aso Brick Factory is going to be the leading manufacturer of quality burnt clay products in Iraq, and even in the Middle East. The factory has capability of producing a wide variety of burnt clay products. The factory’s standard production is 590 tons of green products per day, in other words its production standard is 138,000 standard size bricks per day. 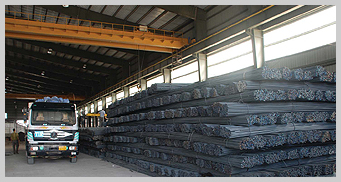 The factory is in the process of installation of its equipments and machinery. The major components are from German Company Rieter Werker, in which the highest and most recent technology of full automatic machinery is being utilized. While rest of the machines and equipments are Malaysian made. We would like to highlight that the executing company, IA Engineering Sdn. Bhd. from Malaysia has over 30 years of experience in the brick production industry. Its affiliated company, Clay brick Sdn. Bhd., with a monthly capacity of 10 million bricks, started production in 1993. Prior to Claybrick, IA Engineering Sdn. Bhd. has built several high capacity tunnel kilns in Malaysia and Indonesia as well. And today, Claybrick Sdn. Bhd. has emerged as the leading decorative brick exporter in Malaysia. Aran Asphalt Factory is another key project of Halabja Group, based on German technology. The production capacity is 160 TPH .The factory consists of the best quality and fully computerized equipment to provide optimum product quality according to high standards and required specification. The plant was established in May 2006 according to the last environmental specification requirements i.e. friendly environmental plant. The total cost of the plant is around US $ 3,000,000, including the preparation of the work site, asphalt machines, equipments and a set of stone crusher. This is in addition to machineries and equipments for road paving. Halabja Group is always looking for new business and hence, Aran Asphalt Factory addresses the increasing demand for road pavement. Last edited by alan131210 on Sat Apr 14, 2012 5:10 pm, edited 4 times in total. Halabja Group is playing an important role in connecting people through the mobile phone network in all areas of Iraq providing a good service of connection with competitive prices for people, our goal is to offer the up-to-date technological developments in the telecommunication service in the mobile network and good quality of connection in all geographical areas of the country, trying to establish system to provide people with this needs and important service. Sana Tel is connecting people from major areas of Iraq mainly in the north and developing the network to offer more services and better connection to our customers. SanaTel is connecting people from major cities and towns of Iraq mainly through the national switch and provides GSM services to the people allover the territories of the Suleimaniyah Regional Government. This is in addition to providing roaming service in the areas covered by KOREK Telecom networks, mainly Erbil and Dohuk. SanaTel is continuously developing its networks to offer excellent services with better connection to all costumers in the region. With its reliable network, SanaTel has established connection with all other telecom companies inside and outside Iraq. Our competitive price offers significant services to customers .SanaTel goal is to update and develop the telecommunication infrastructure of the mobile networks for the sake of maintaining our excellent of connection for both local and international services. SanaTel has a strong team of skilled and highly trained staff working hard to address the needs of our costumers and upgrade the quality of the GSM services provided. The team is supported by Ericsson International expertise. Though established in the year 2002 and being active, the era following the liberation of Iraq in 2003 was a new age for SanaTel when our company was awarded National License by CPA in April 2004. Since then, we become a major partner in developing the telecommunications infrastructure as part of our task in the process of rebuilding Iraq, in line with other GSM operators in the region like IRAQNA, MTC, KOREK and Asiacell. SanaTel's subscribers have now exceeded 300,000 and are increasing daily. Our goal is to expand our networks throughout the region meanwhile maintaining quality of service. We are looking forward for better opportunities to be present throughout the country, while our slogan is to make the people Stay Connected. Last edited by alan131210 on Mon Mar 19, 2012 3:38 am, edited 2 times in total. On July 18, 2009, the 20,000 barrel per day Erbil Refinery, owned by KAR Oil Refining Ltd., received its first oil from the Khurmala Dome oil field. The oil is transported via a 40 kilometer, 20 inch buried pipeline from the newly constructed Central Process Station at Khurmala Dome oil field to the Erbil Refinery on the western side of Erbil. This is the first major refinery in Kurdistan and the first private sector refinery in Iraq. The Erbil Refinery has two distillation units each with a capacity of 10,000 barrels per day. It produces kerosene and diesel for the consumer market and naphtha and fuel oil for the industrial market. The refinery will produce approximately 429,300 liters of diesel per day, enough to fill approximately 5,500 vehicles per day. It will produce 588,300 liters of kerosene per day, enough to provide one tank of kerosene for a heater for one night in 120,000 homes. The fuel oil from the plant will be used to provide energy for heavy industry including cement and brick factories. Erection of the Erbil Refinery started in 2005 under a contract between the Iraqi Ministry of Oil and the Iraqi Ministry of Industry and Minerals. The project should have taken 18 months to complete, but budget difficulties and inefficiencies caused delays. In late-2008 the refinery was only 60 percent complete, and the Kurdistan Regional Government intervened and privatized the refinery. KAR Oil Refining Ltd. was awarded the refinery and given an ambitious target to commission the refinery by July 2009. A major expansion of the refinery has already begun. By the end of 2009, the capacity of the refinery will be doubled from its current 20,000 barrels a day to 40,000 barrels per day. KAR Oil Refining purchased a newly built, fully engineered and skid mounted refinery complex from Ventech Engineering near Houston, Texas. The equipment is being shipped to Erbil in late July 2009. The expansion consists of a 20,000 barrel per day distillation unit and process units to make high quality, world standard gasoline, diesel, LPG and kerosene. The gasoline unit will be the first of its kind in Iraq providing up to 95 octane gasoline. KAR Oil Refining has ambitions to increase the refinery further to an operating capacity of 75,000 barrels per day in 2010. Plans are currently being set and an announcement will be forthcoming. Last edited by alan131210 on Mon Mar 19, 2012 4:06 am, edited 3 times in total. will connect Erbil to Turkey via Duhok. The motorway will be the only dual 3-lane motorway crossing Northern Iraq in the boundaries of KRG. The project includes drainage, vertical and horizontal signing, guardrail and structural design. Last edited by alan131210 on Sat Apr 14, 2012 5:19 pm, edited 3 times in total. The number of the registered companies in the Kurdistan Region amounts to over 11,000 companies. Ahmed told AKnews according to the latest official figures some 11,496 companies, foreign and local, have put their assets into investment in various fields of the Region. With the steady influx of the businessmen into Kurdistan, the Region is reinforcing its image as a lucrative zone. The reputation is further reinforced as the Region is presenting itself as a safe zone for trading with the rest of the war-ravaged Iraq. Many consider the Kurdistan Region’s investment law a “key factor” for drawing the investors. The law is hailed as an investor-friendly regulation. Last edited by alan131210 on Mon Mar 19, 2012 4:11 am, edited 1 time in total. PNA - Mr Anwar Jabali Kurdistan Region's minister of transportation and communication said that a number of tycoons are seriously involved in talks to establish an automobile manufacturing plant in the Kurdistan Region in northern Iraq. Mr Jabali did not disclose the names of the magnates. However, he stressed the Region has a promising condition for founding the factory and expected it will be installed in a near future. 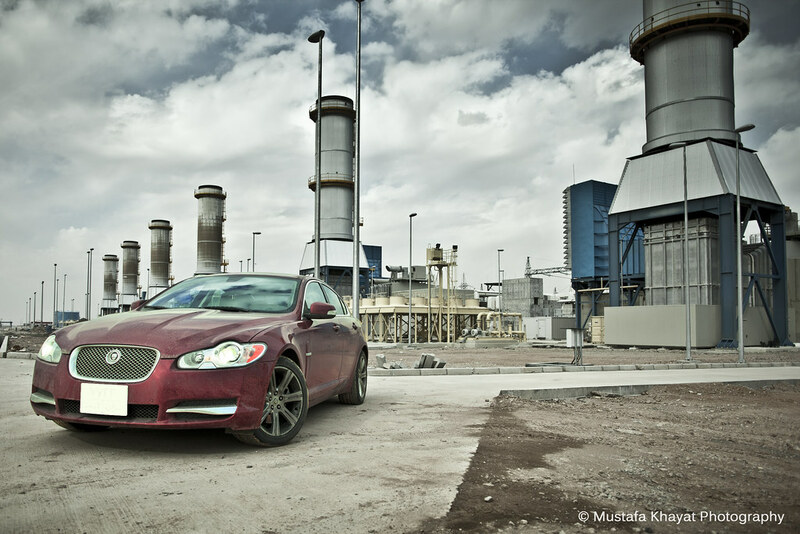 The Kurdish government cannot afford the expenses of such a plant; therefore, it is only the private sector capitalists who can introduce an auto factory to the Region. The media reports and observers point to the profitability of the Kurdistan Region for the private sector. Almost 11,500 private companies are currently functioning in various fields in the semi autonomous region which enjoys a relative stability as compared with the rest of Iraq. Last edited by alan131210 on Sat Apr 14, 2012 5:21 pm, edited 1 time in total. 07/03/2011 Krishm Power a Turkish company announced today they are going to build a factory that produces electricity producing equipments such as High pressure boards medium and low , it will be built in Erbil , it stated that the construction of the Factory will start this month. Ozer Alkan the manager of the company Erbil branch told AKnews today that the cost of building the Factory will be $5 Million and it will be ready within 6 months for productions. Ibrahim Osman the manager of the factory said that 25-30% of electricity power goes into waste because most of electricity Gears are old and need replacing in Kurdistan and this Factory will reduce some of the Electricity issue noticeably. Last edited by alan131210 on Sat Apr 14, 2012 5:24 pm, edited 3 times in total. in Jan 2009 KRG unveiled its five year strategic development plan for the agricultural sector with the intention of becoming self-sufficient in food production by 2013. this goal demanded a 100% increase in output over the period something which should be achievable given that in 2009 only 1.3 million acres out of a possible 3.8 million were under cultivation. "we need $10 billion to implement the plan" says KRG Minister of agriculture and water resources, Jameel Sulaiman Haider. "we have been concentrating on grain ,fruit and veges during the 1st two years.Regarding grain we have reached 500,000 tons of wheat and our goal for dairy products". there are however plentiful water suppliers in Kurdistan the Minister notes and 30% of funds will be dedicated to irrigation to ensure shortages do not prove an obstacle to future harvests. in 2010 the region exceeded its wheat target by 20% but only produced just over half of its 650,000 ton vege needs while fruit and animal production continued to lag. greenhouses of which the Ministry has distributed some 14000 to local farmers looks set to boost output and improve models are scheduled for delivery in 2011. up to 50% of the regions export are expected to be grown under cover in the future. Last edited by alan131210 on Sat Apr 14, 2012 5:25 pm, edited 1 time in total. 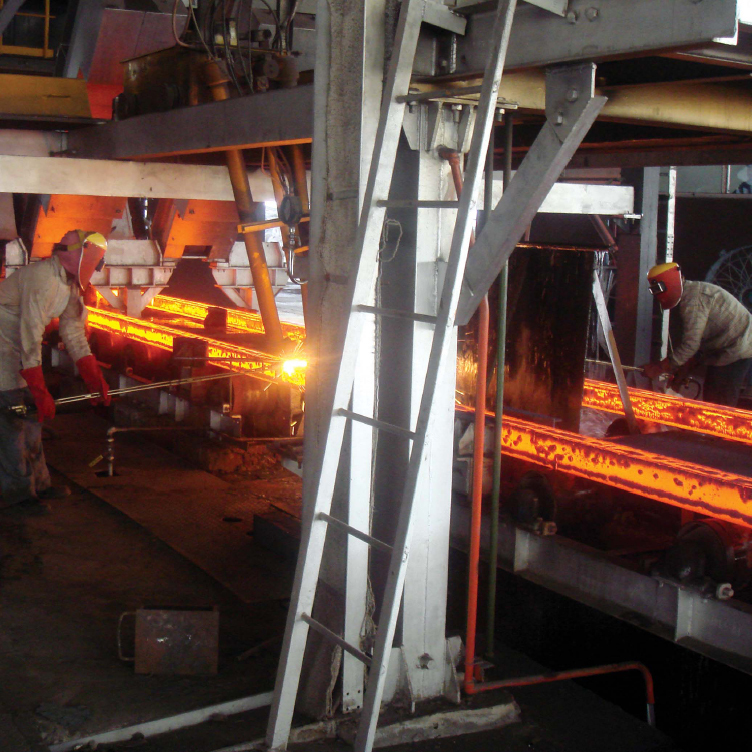 The Kurdistan Regional Government has licensed a firm to build a $1.1 billion smelter and steel plant, according to Trade Arabia. Mass Global was granted the to build the project in the Chamchamal area between Kirkuk and Sulaimaniya, said Haidar Mustafa, head of the industrial projects department of KRG’s investment commission. “The total amount of the project is $1.078 billion [1.25 trillion Iraqi dinars]. The area that the factory will be erected on is (83 hectares),” Mustafa said. He said the plant would have a production capacity of one million tonnes of steel and iron products annually and construction should start within two months. 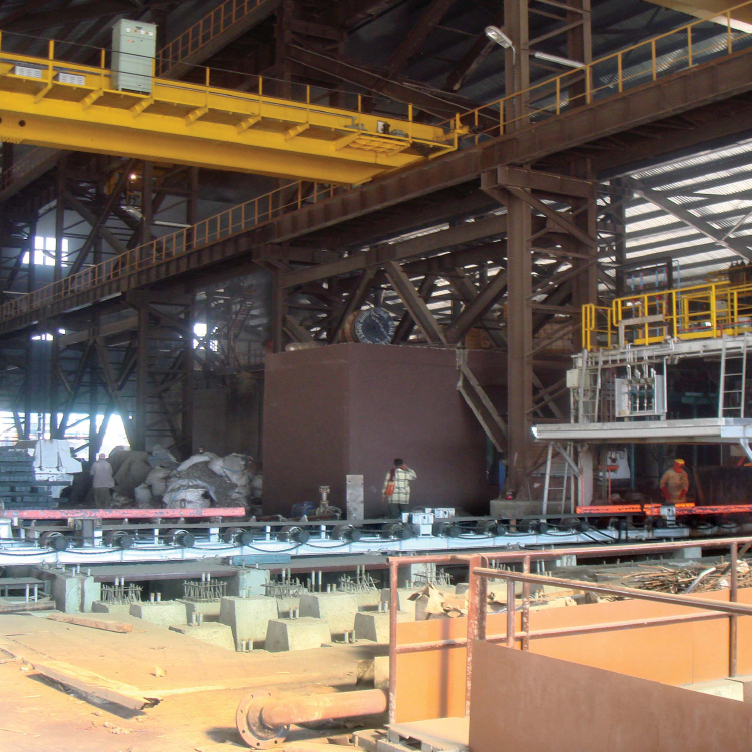 The entire project includes a smelter as well as steel manufacturing and steel casting facilities. Dalshad Mohammed Shakir, Mass Global’s project director, said his firm had contracted with the Italian company Danieli to design and build the facility. According to the report, Danieli had no immediate comment. “This is a pioneering project in Iraqi Kurdistan with very modern technology, with equipment and machines which are the latest in the iron industry in Europe,” Shakir said. Last edited by alan131210 on Fri Jul 06, 2012 1:59 pm, edited 5 times in total. Erbil, Feb.17 (AKnews)- Contracts for investigating and designing the Tram Way project in the Kurdistan Region, northern Iraq, was signed Wednesday. grebastThe website of the Kurdistan Ministry of Transportation and Communications cited Umed Mohammed, the spokesman for the ministry saying that the Kurdistan Tram Way project entered its first phase of execution Wednesday by signing contracts with three international designing companies. The Italian Tecnopolo F.G. will sketch the design for the 60 km route in Erbil City (Kurdistan Region Capital) with 2,559,303,700 Iraqi Dinars (IQD) - almost 2,177,204 U.S. Dollars. The Romanian Terra Nova will design the 50 km tram Way in Sulaimaniya with 2,600,000,000 IQD- nearly $ 2,211,824. The contract with the Italian S.G.I Company for designing the 40 km route in Dohuk stood at 2,800,000,000 IQD, nearly $2,381,965. Last edited by alan131210 on Mon Mar 19, 2012 3:44 am, edited 1 time in total. Kurdistan Gas City is a major new sustainable and synergistic gas-utilisation industrial complex to be built over an area of 461 million square feet, designed to promote private sector investment in a variety of gas-related industries to further benefit the country’s citizens through mass training, job creation in the many tens of thousands, and the promotion of general economic activity. Kurdistan Gas City will include industrial, residential and commercial components in an integrated city, with an expected initial investment in the basic infrastructure estimated at 3 billion US dollars, preparing the land for possession by prospective residents. This initial investment will in turn facilitate further foreign direct investment exceeding 40 billion dollars (147 billion UAE dirhams) during the operations phase. The Gas City is being structured to hold over 20 varieties of world scale petrochemical and heavy manufacturing plants, and hundreds of small and medium-sized enterprises (SMEs), served by state-of-the art civic facilities. Last edited by alan131210 on Mon Mar 19, 2012 4:13 am, edited 3 times in total. Coca-Cola Beverage Limited (CCBL) has been established in 2006 and its core business is to produce, sell and distribute sparkling and still beverages of The Coca-Cola Company (TCCC) in Iraq. 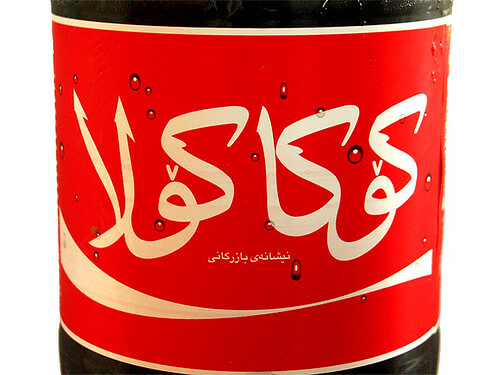 It has become a wholly owned subsidiary of Coca-Cola İçecek following the indirect acquisitions in 2011. CCBL has a plant in Erbil and has 2 warehouses in Duhok and Suleymania. CCBL serves a population of almost 31 million with a production capacity of 24 million unit cases. Located 20 km from Erbil, the total investment value of CCBL Erbil Plant is more than 50 million USD. Last edited by alan131210 on Mon Mar 19, 2012 4:22 am, edited 6 times in total.